When writing unit tests one of the challenges is to isolate your tests from everything. To isolate them from the code that is not in their target and also from the other tests. As Roy Osherove puts it in his book “The Art of Unit Testing, “… a unit test should always run in its little world, isolated from even the knowledge that other tests there may do similar or different things”. Test isolation makes a key difference between tests suites which are maintainable and bring high value and the ones which are a burden and bring little or no value. 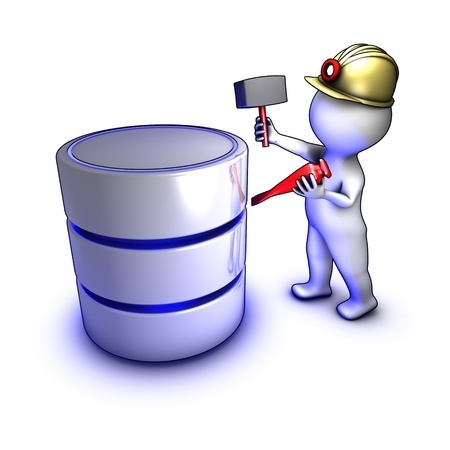 In data intensive applications one of the most common difficulties when writing unit tests is to isolate them from the database. We would like that the tests which verify the business logic, not to hit the database, so we can easily configure test data for different test cases and we can easily assert the result. One of the best approaches to achieve this, is to implement the Repository Pattern with a good abstraction that gives all the necessary functions to do data access. In my previous posts I present some examples. Having this, in our tests we can use stubs or mocks as implementations of the IRepository interface, and we can test the caller code in isolation. The code snippet below shows such a test which verifies that the where clause filters out data. Similarly, tests which verify that the result is ordered by a certain criteria, or that some business calculations are done correctly when the data is read or saved can easily be done. 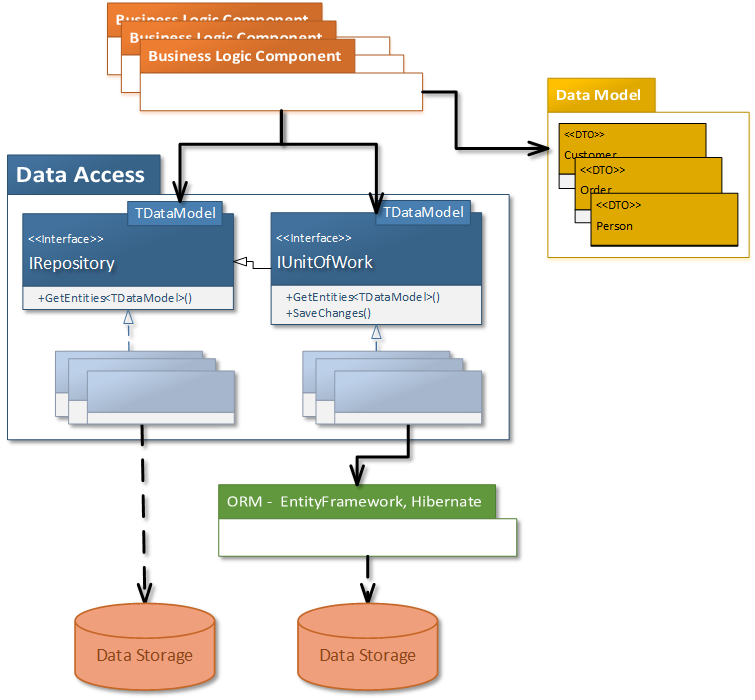 Entity Framework supports testable code designs and the DbContext in itself is a repository implementation. So what would it mean to stub or mock the DbContext directly and write isolated tests in a similar way as we did in the example above? We might need to do this when we don’t wrap the DbContext into another repository implementation or we want to test the code that does the wrapping (as we did in the DataAccess implementation here). To get this going the first thing we need, is to make sure that the code we want to test does not use directly our specific context class, but its base class which is DbContext. A factory which will be used by the target code instead of newing up a MyDatabaseContext instance, gets this done. In the test code we will have the factory return a stub or a mock for the context. This works well for testing simple queries. For more complex scenarios, setting up data for one-to-many or many-to-many relations gets quite complex. You could set it once with a model of Users and Roles and use it for more tests, but it is hard to do the same for testing other areas of the application and all the business logic. Another thing to notice in the above snippet is that we have written the FakeStub class instead of using Moq. This is because we want to keep some state on it (the values) and use it in test cases that involve adding or removing entities from the context. Until at this point, we were able to stub or mock the DbContext and DbSet because all the methods our code used, were overridable. This allowed our us or Moq to replace their behavior in the tests. However, not all public members (or their dependencies) of DbContext are like this, therefore it gets more difficult isolate the tests for some scenarios. Now we need to modify all our test code and production code to use the IDbContextWrapper instead of the DbContext. The factory will return a stub for it and the stub can be configured to raise the event. This is quite inconvenient. 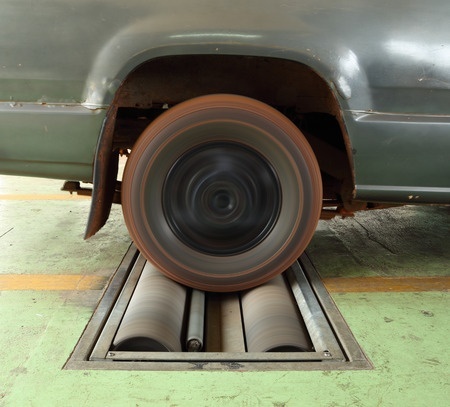 Our tests have too much knowledge of implementation details of the production code. Even more, when trying to tests more code that accesses data, things will get more complex and this wrapper will grow creating a hard to manage mess. It is also an example of how the tests may damage the production code design. Maybe by more refactoring this wrapper will lead to the IRepository interface as the abstraction of the repository pattern which hides EF from the production code, but… it seems unlikely and a very long an painful route. All these point to the conclusion that for testing in isolation the business logic code, abstracting the data access in with some clear interfaces and testing from there up, is a better approach. Implementing the repository pattern on top of EF, not only gives better separation of concerns and may enforce consistency, but is also helps in testing. However, testing on the DbContext directly may be useful when it is wanted to write some tests on the repository implementation that wraps the EF, and we want these tests to be isolated from the database and from the caller code. Such implementation is available on iQuarc github account, in the DataAccess repository. In my previous post I have presented a way to separate your data access from the business logic, when a relational database is used. I have shown another implementation of the well-known Repository pattern. Since Martin Fowler described it in his book Patterns of Enterprise Application Architecture it became one of the most implemented pattern in enterprise applications. As it happens with all the design patterns, design principles or any other widely known best practice, we find them in many different implementations, mixed in different ways, but they all have identical things, because they all implement the same solution to a common problem. They all have classes and interfaces named the same. Thing like: Repository, UnitOfWork, IEntity, BaseEntity, ConcurencyException and so on. I like the quote of Christopher Alexander in GoF (originally in his book A Pattern Language): “Each pattern describes a problem which occurs over and over again in our environment, and then describes the core of the solution to that problem, in such a way that you can use this solution a million times over, without ever doing it the same way twice”. In most of the projects I’ve been involved in, I’ve seen the Repository pattern implemented differently. Tweaked to the context of that project, to the specifics of that team, according with their own style. All different implementations of the same patterns and practices. Out of the curiosity of how many other blog posts are out there, which show similar implementation with the one I’ve presented, I have googled: “generic repository implementation”. As expected there are quite a few, and as expected they are very similar with mine and with each other. I have randomly picked a few (the first 5 returned by my google search at the time of writing this article) that I will comment in this post. I like the idea of defining an IEntity interface which should be implemented by all the entities that your repository can persist. This opens the possibility of writing a more generic code into a default implementation of IRepository<T>, (a Repository<T> class), where you could push all the common code like a generic implementation of .FindById(int Id). This will only work if you can enforce the convention that all the tables in your database have a surrogate primary key of type integer. I appreciate a lot the discussions in the comments of the post. I am closer to the point of view of ardalis regarding the use of such abstraction on top of EF. However, I don’t see IQueriable<T> as a leaky abstraction. In my view it abstracts a query, which may be executed on different query providers, EF being one of them. It also helps a lot when Unit Testing, because I can stub the IRepository to return array.AsQueriable(). The implementation in this blog post also has the IEntity, but with a slight variation. It is generic by the type of the primary key. With this, we can have different types for the primary key, but it increases the complexity of writing generic code in a common repository implementation. I like the IAuditableEntity, which should be implemented by all entities on which we want to store information like CreatedBy, CreatedDate etc. With this, in a generic implementation of the repository before we save an entity we can check if it implements IAuditableEntity and if yes, then we can set the correct values in CreatedBy, CreatedData properties and then continue with the save. The implementation of the UnitOfWork looks a bit strange. It has a Commit() function, which should be called when the client wants to persist a set of changes. What I don’t like is that the client service will need to use one instance of a Repository, another instance of an UnitOfWork and these instances should be built in such way that they wrap the same DbContext instance. The way objects are created (Dependency Injection, Service Locator or custom factories), needs to take care of this, and all the client services need to be aware of it and use it consistently. Things may get too complex when a client service will need to use repositories of two different entities. It will have to deal with four dependencies only for this. This implementation goes even further and defines a generic service for maintaining business entities. It is called EntityService. A suggestive name I’ve also used in different projects, for a similar generic service with the same scope. These set of services should use the repository (data access), encapsulate the logic around maintaining a business entity (business logic) and give to the controller (UI) functions for the basic CRUD operations. This blog post addresses the UnitOfWork implementation in a better way than the previous two. 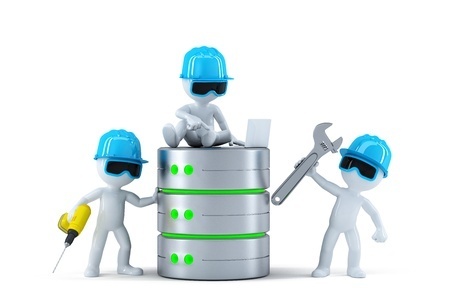 Here, the UnitOfWork has set of Repository instances that it creates and makes them available through get properties. This solves in a better way the thing that I didn’t like in the previous post. The DbContext is created and owned by the UnitOfWork, and because it is the one that creates the repositories it may pass it to the Repository class. The drawback of this is that for a client class is quite difficult to know which are the repositories that are available on a specific UnitOfWork instance. It does not know what get properties to expect from an UnitOfWork. This may lead to inconsistency. As a client I might end up reaching the entities I want through strange paths starting from different repositories. It may also lead developers to add repository properties to UnitOfWork classes as they need them in different context, making the UnitOfWork classes to get fat and difficult to maintain. The generic UnitOfWork class presented in the article helps, but even that may become quite complex when there are many specific repository implementations that need to be created and cached in the dictionary. Mainly the UnitOfWork turns into a Service Locator implementation for repositories of different entity types. This implementation has the same way of implementing a UnitOfWork as the previous. The UnitOfWork has a generic repository through a get property. The article shows the idea of abstracting the DbContext under an IDbContext interface. With this, the UnitOfWork and Repository no longer depend on a specific context, but on this abstraction. This can help in separating the data access implementation in another assembly than the one in which we have generated the code for a specific context. This interface may be useful when you want that Dependency Injection or Service Locator to get directly involved on creating context instances and you need an interface for configuring the container. Otherwise, the same separation may be achieved with an abstract factory. Another interesting thing is the RepositoryQuery<T>. The Repository.Get() does not return an IEnumerable nor an IQueryable. It returns this RepositoryQuery<T> which is somehow in the middle. It limits the queries which may be defined, by giving Include, Filter or OrderBy functions and when you say .Get() it composes the expressions and executes the query on the underlying repository. It is hard to see the cases where the complexity added by this extra indirection pays off. It brings this common place where we can make sure that the queries written by upper layers may be adapted to work the same on any query provider, but unless we know that we need to easily replace EF with something else… might not worth doing it. Another advantage, I can think of, is that it enforces consistency in the client queries, but this needs to be balanced with the limitations it brings. This article is part of a tutorial on www.asp.net about getting started with EF and MVC. It presents the step by step the process of evolving from a simple repository, which does nothing more than wrapping a DbContext, towards a generic repository and then towards a unit of work that has more repository instances. It follows the same idea. An UnitOfWork class which provides a generic repository through a get property. The UnitOfWork takes care of creating and caching multiple repositories instances, one for each entity type. This may turn it into a complex factory. Here, the Get() function of the repository returns an IEnumerable. It receives through input parameters different parts of a query. There are parameters to give a filter expression, an order by expression or a string to specify the related entities. In my view this is an unfortunate choice. It does not give to the client a fluent API to specify the query. The client code has to tweak the parameters in different ways which increases the complexity on its side. There will also be cases when new Get() overloads are needed to write in them the LINQ queries directly against the DbContext. This may lead to inconsistency. I would rather return IQueriable, or if not then have a Get() without parameters which returns IEnumeralble and explicitly ask for specific repository implementations which define other Get() overloads for the specific queries. I think the biggest take away from these blog posts is that there are many ways we can implement the repository and unit of work patterns. All implementations will achieve the same goal which is separating data access concern from the other concerns. The implementations differ because they are used in different context. All have pluses and minuses. What may work in one project, may not work in other, because the tradeoffs that are made differ from project to project. What is a critical plus for some teams in some contexts, may not be useful for others. What is not a big minus in some cases may prove to ruin projects in other contexts. The more implementations of a pattern you see, the more design ideas you will get when you need to implement it for your current case. The more projects you’ve done where such patterns were used, the easier and faster it will be to implement it again for a new context or to evaluate possible implementations. In the past few weeks I have published a set of four posts that deal with disposable instances. These posts describe in detail a working implementation that automatically disposes all the instances that are no longer needed, in a deterministic way. This solution works when we use Dependency Injection or Service Locator to create instances and we want to prevent, by design, leaks of expensive resources. The posts started from a discussion on how to deal with a repository implementation, which is disposable by nature, and it evolved into a broader one, because the same challenges and approaches apply to any disposable type. Even if I didn’t intend them from the beginning to be a series, these posts continue each other and describe the design of a component that may be part of the Application Software Infrastructure of any complex app. They include the problem description, the challenges, the different approaches which may be considered and implementation examples. In the last few posts I have written about how to deal with IDisposable instances when using Dependency Injection. In the Who Disposes Your Repository I talk about the possibilities and challenges of disposing a repository which is injected. Then in the Extending Unity Container for IDisposable Instances (part 1 and part 2) I show how automatic dispose of all IDisposable instances can be achieved with Unity Container. This post completes the solution by detailing when the Container Hierarchies (aka Scoped Containers) are built and how they work with a Service Locator. Inside the brackets of this using statement we can use the IDisposable instance as we want and we are assured that it will get disposed when the scope ends. By doing Inversion of Control we give the control of the above to the frameworks we are using. Mainly we create one container for each scope and we dispose it when the scope ends. When the scoped container gets disposed, it will dispose all the IDisposable instances that it created (previous posts show how this can be done with Unity Container). This is how the idea of using Container Hierarchies for disposing instances came into place. Therefore, if we leave to the framework the control of building instances, we also expect the framework to dispose the instances it created. We still need to make sure that when the scope begins a new container is associated with it, and within that scope all the instances are built with the associated container. When we are in a web application, we are not in the control of defining the scope neither (Inversion of Control again). We might want to consider this scope to be the same with handling a web request or with a web session. For example, we would want to nest all the code that handles a request within a using statement as we did above. Something quite similar would be: when the request begins create the scoped container, then keep it on the request so all the code running on that request could use it to get new instances, and when the request ends dispose it. Again, if the framework is in control of defining the scope we are interesting in, the framework should give us some hooks which we can use to run some code when the scope begins or ends and to give us some object that represents a context for this scope, so we can keep a reference to the scoped container on it. Most of the web frameworks give such hooks. We are signaled when a request or session begins or ends. There is also an object which is easy to access, which represents the current request or session and on which we can store context information. If we are using ASP.NET MVC, which is designed with Dependency Injection in mind, we can get this done quite easy. Below is a code snippet from DevTrends github repository which contains small projects that integrate Unity Container with ASP.NET MVC and ASP.NET Web API. As you can see here the child container is created first time the framework needs it and then it is recorded on the request object. When the Service Locator is used it is important that the scoped container gets called whenever a new instance is needed. If the container is used directly, it means that all the code that needs to request a new instance has to be able to go to the current request object, obtain the reference to the scoped container and ask the instance. If we are in an ASP.NET app this is easier because we can use the DependencyResolver.Current, which implements Service Locator pattern and which with the above integration code will go to the Unity Container recorded on the current request. If we are using another implementation which wraps a dependency container like Common Service Locator does, you will need to set it up in a way that it uses the current container. The snippet below shows an example for the Common Service Locator. a windows service which listens on a TCP-IP socket and handles concurrently all the commands that come on the socket. The custom operation would be all the code that handles such a command. a console application which executes commands received through inline parameters. Here each command implementation would be part of the custom operation to which we would like to scope a child container. a desktop application, where we would like that all the code behind a screen to be part of an operation to dispose all the instances used while that screen was opened or used. In all these cases we can create the scoped container and put it in a using statement that nests all the code within that operation. The difficulty comes in associating the scoped container with the operation. Where to keep it so all the code that runs within that operation uses it to build new instances. We need an object (like the request in the web app) which can keep this reference. That object should be available (through a static call) to any class or function on any thread which is within the operation. In short ServiceLocator.Current needs to wrap the scoped container of the current operation. Our code which defines the scope will create a new OperationContext when the operation starts and it will dispose it when the scope ends. We can do this with an using statement. The OperationContext.Current gives access to it. It can be called from any class, function on any thread and it gives the current operation. ServiceLocator.Current can wrap OperationContext.Current.ServiceLocator and all existent code which we are nesting within this using statement shouldn’t be modified. This class makes sure that the current operation context information is thread static, but is it passed to new threads which are created within current operation. It also assures that when the operation ends all the disposables it holds (including the dependency injection container) are disposed. The OperationContext class implementation is inspired from the HttpContext class. It uses a ContextManager static class to manage the access to the storage of the context. The context store is abstracted by IContextStore interface. Its implementation has to provide thread static storage for more operations that may exist simultaneous. When we are in a console application or in a windows service, its implementation is based on the CallContext class. This assures that the context is passed along on any function call, and also to new threads which may be created from current one. // ServiceLocator.Current wraps the scoped container created for this operation. The OperationContext is an abstract solution for giving context information to any operation regardless of the type of application. When used in a web application the IContextStore may be implemented over the HttpContext.Current and the ASP.NET remains in control of managing the context of our operation (web request). To summarize, OperationContext class gives us the means to easily achieve what we wanted: all the IDisposable instances created withing one defined scope to be disposed when the operation ends. It does this by using scoped dependency containers which are bound to the defined scope and are disposed when the scope ends. It also gives an abstract way to easily define such a scope when our code is in control or to bind it to one created and managed by a framework. I have enrolled in John’s Sonmez free e-mail course titled “How to Create a Blog That Boosts Your Career”. I’ve joined this because I wanted to focus more on improving my blog, and because I care about John’s advice on how to do this. I was already acting on some of the advice he gave when talking about how developers can promote their selves or how they can improve their careers. I’ve picked these from his blog (simpleprogrammer.com), when he was on .NET Rocks! or in other of his materials that I get by following him on twitter. I was also curious on how an e-mail course would go. Each lesson is in an e-mail that we (the trainees) receive twice a week. One on Monday, and one on Thursday. The lessons are quite short, few minutes to read them. Each speak about a key aspect to care and think about when building a blog. I see it like developing a set of habits that can lead you towards a fulfilling blog. Each lesson also has a short homework, which in most of the cases we should e-mail back. The nice reward I’ve gotten by doing my homework was the feedback that I’ve received from John. So far, he replied with some extra advice specific to my context to each of my homework e-mails. It makes me feel that this is not just a set of articles sent by e-mail, but it is an actual course with interaction with the trainer over the e-mail. I think it is one of the key factors of success in course ran by e-mail. One of the things that it made me think hard about, was how to focus my posts on a topic. Which is the theme of by blog? Conclusion: Quality Code Design. The key reason I’ve started a blog in the first place was to share from my experiences. I was lucky enough to be part of many software development projects, in different roles. I’ve been dealing with difficult contexts both from technical and corporate politics perspective. There are many learnings I’ve taken along the way. One of the believes I’ve formed is that the way we organize our code, the way we design the structures in which we place the code, the way we do code design matters a lot in achieving the needed flexibility to accommodate changes in the success factors of a project (requirements, time and budget). I consider a code design to be of good quality if it stands the test of time. If it can be changed at low costs. Therefore, the conclusion I’ve reached is that I will try to focus my writings in this area. Not as stories from the projects I did in the past, but rather experiences or advices that I pick from my current work. Learnings I find worth sharing from the training and coaching I do in different companies, from the consulting and the development I do as part of iQuarc and from the work I do as a Software Architect at ISDC. And all, focused on achieving a quality code design. At this point the course reached its second half. I can’t say I have found many new things, so far. However, it outlined some important aspects and made me think harder of them. The blog theme is one example. Another great benefit for me is that I get a strong confirmation on the practices I was already following. For me this is a good encouragement that I am going on a good path, especially when it comes from someone who is successful in this. How to put links from a post. Should all the words that may point to more details, have a link? How to find and chose good images for the posts. Should all the posts be accompanied by a featured image? How long an article should be? When is it better to finish a subject in one post and when to split it over more posts? When is it better to put source code into the post and when is it better to give it as a downloadable zip. For me it was a good choice to enroll. It cost me just some time and I’ve got good advice and strong confirmation in return. A great deal. If you’d want to do the course I think you can still enroll (for a future session maybe) or you could probably get the lessons and go through them at your own pace. In my previous blog post I detailed an approach of making the Unity Dependency Injection Container to automatically call Dispose() on all the IDisposable instances it builds and injects. The implementation described there, makes use of custom lifetime managers and it works fine for most of the cases except for the PerResolveLifetimeManager. Unity was extended with the PerResolve functionality in a tricky way, which makes my previous IDisposable implementation not to work for it. Therefore, I’ve came up with another solution which works in all cases. I will go into details about it here. Both these blog posts are a continuation of the ‘Who Disposes Your Repository’ post, I’ve written a while ago, where I describe a context where such an automatically disposing mechanism is desired. /// Represents a strategy in the chain of responsibility. /// Strategies are required to support both BuildUp and TearDown. A few weeks ago, in my blog post ‘Who Disposes Your Repository’ I wrote about the challenges of implementing an IDisposable repository, which takes full advantage of the deferred execution of the IQueryable<T> and, which is being injected through Dependency Injection (DI) into the classes that need to read or store data. I have focused the discussion on the case when the repository is abstracted by an interface, and its implementation is injected through DI. I have detailed more alternatives on how it could be disposed and the challenges that arise from the stateful nature of a repository, the deferred execution of the IQueryable<T> and the DI. In the end I have argued that especially for large applications, I would prefer that the Dependency Injection Container (DIC) disposes all the IDisposable instances it created and it injected, including the repository. In short, the code that creates an IDisposable instance should also be responsible to call Dispose() on it. The SetValue() will populate a list which keeps weak references to all instances which are disposable. On Dispose() it will just dispose all the elements in the list. Simple. The ContainerControlledLifetimeManager is already IDisposable and it does dispose the instance it references. 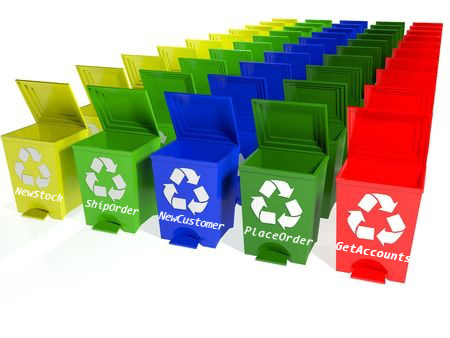 So now, if we use the disposable lifetime managers when we configure the container, all the instances which are IDisposable will be disposed when the container gets disposed. This does not work as we expected, because when the child container is disposed it does not have any lifetime managers instances in it. This is because it uses the configuration from the parent, including the instances of the lifetime mangers given there. This is by design in Unity. If the lifetime mangers instances from the parent would not be used, we would get into short lived singletons issues. Think that you configure a certain type to be Singleton. If you get objects of it through main container you get instance1, but if you get it through a child container you would get instance2. To prevent this, the same instance of lifetime manager (the one given at RegisterType()) is used by child containers too. For the cases when we would like to use both the PerResolveLifetimeManager and the TransientLifetimeManger I ended up making another implementation to extend Unity with same behavior of automatically disposing all the IDisposable instances, when the child container gets disposed. I will detail it in a future post. Low coupling and high cohesion go hand in hand. In a low coupled design, the modules, classes and functions have a high cohesion. The other way around is also true: making high cohesive modules, classes or functions leads to a loosely coupled design. Why is this useful or interesting? The thing is that in designing software we never get directly to a good design. We can’t make a good design from the start. We improve the design of our code by gradually refactoring it. We put into the code the knowledge we learn by experimenting with it. This is code refactoring. Therefore, I think it is important to identify and to know patterns of refactoring, in order to increase our efficiency in getting to a good design. Refactoring towards high cohesive classes and functions is a pattern of refactoring our code to result a lower coupled design. I will present it bellow by walking through an example. This article turned out to be quite long. For easier reading I have splat it in three. The first part reviews few concepts and the second part dives into the code, walks us through the small refactoring steps and explains the reasoning behind. At the end it summaries the refactoring pattern steps and a few smells to pay attention to. Coupling refers to how tight the connection is between two elements of our system. Lower the coupling is the better isolated the elements of our system are. This means that changes in one element would not trigger changes in the others. Generally, the looser the coupling is the better the design is because it is less resistant to changes. However, some coupling is needed. The system elements do need to interact, and in a loosely coupled design this interaction is well defined through abstractions. The inner details of an element (module or class) are well encapsulated (hidden) and are not relevant when thinking on how to interact with others. When details change, they do not trigger waves of changes in all the system making it resistant to change. So coupling is tolerated where it is needed, meaning when it brings benefits and it should be done through good abstractions. In other words: Don’t tolerate coupling without benefits! Identifying the good abstractions and implementing them through well encapsulated elements is not trivial, because we have a limited view on the system in the beginning. We couple things by nature. We put things together when we do not see the whole picture. Then when it is revealed, we need to stop, we need to refactor to break them up. Then we can identify the good abstractions which lead towards a better design. A class has high cohesion when most of (all off) its fields are used by most of (all of) its methods. The more fields a method manipulates the more cohesive that method is to the class. A class in which each field is used by each method is maximally cohesive. When cohesion is high, the methods and fields of the class are co-dependent and hang together as a logical whole. Generally, it is neither advisable nor possible to create such maximally cohesive classes, but on the other hand we would like the cohesion to be high. For a function, cohesion refers to how closely the operations in a routine are related. The function code should consistently use all the variables it declare and all the input parameters to compute the result. When we observe a class with poor cohesion, for example a class which has two parts, one made of three public methods which operate on two fields and another one made of two public methods which operate on other three fields, the general pattern to increase its cohesion is to split it in two classes and to make one to use the other. This way we can identify good abstractions and more code reuse opportunities, which will improve our design. The example we will dive into shows a pattern to refactor to lower coupling, by improving the cohesion. The first step is to improve the public interface of a class by reducing the number of parameters of its functions. This reveals better the low cohesion of the class and then in successive refactoring steps we increase it, by splitting the class into more. The pattern to reduce the number of parameters from public methods is to transform them into class fields, which are set through the constructor. This makes the class interface to be more cohesive and it reduces the complexity of the caller code. As consequence, it may also reveal the poor cohesion of the class, by now having groups of fields used by groups of methods. The refactor goes in small steps improving the design a little by little in controllable small chunks. To follow easier this refactoring example, you can download the source code file from each refactoring step from github here. We start with 00_PageXmlExport.cs, which is the initial state of the code and then when we advance you can look at 01_PageXmlExport.cs after first refactor step, then 02_PageXmlExport.cs for the second refactor step and so on until the fifth refactor step. ExportCustomerPage(…) function will write on the disk an XML page containing customer details and customer orders, which are read from the database using a Repository implementation. It receives as input parameters a fileNameFormat with the pattern to generate the name of the file and a flag that says whether it should overwrite the file in case it already exits. It also receives the name of the customer to export the data of, and the maximum orders that should be exported. It gets an extra setting weather it should include or not the customer details. This function evolved over time in this shape. The desire to reuse some of the code that implements the logic of enriching the XML with orders into the one that also enriches the XML with customer data, made the developers to add a the addCustomerDetails flag and correspondent code in here. Also the logic of composing the file name and/or overwriting it was added later, in the easiest way to implement a new request. Looking further, the same desire to reuse the code that enriches the XML, made it that later a new function which includes external data into the exported XML was added to the same class. This is how ExportCustomerPageWithExternalData(…) got written. It does the same as the above, but if external data is present, then it is included in the XML. Following the same approach to reuse the core code that enriches the XML, other functions we added in time. ExportOrders(..) exports a XML with the same schema, but with all the orders the customer has and without additional customer data. Later on, because this was the class that knew how to produce XMLs with customer orders, it got two new methods: GetPagesFromOrders(…) and ExportPagesFromOrders(…), which were useful when the data should not be taken from the database, but it is given as input parameter. Now, look at the public methods signature only. They have many and redundant parameters. This makes them hard to be used by the caller code. The first step of refactor is to reduce the number of parameters of the first two methods. We move some common parameters into the constructor. It results the following code (file 01_PageXmlExport.cs). This already makes the functions to look better. They are easier to be called. The caller can now instantiate this class with the settings it needs, and then call ExportCustomerPage(…) for all the customer names it wants. Previously, it had to repeat most of the parameters for each customer call. If we look at the resulted fields we can see that most of them are used in 3 of the 5 functions. The rest of the code remains pretty much the same. Continuing on this path, the next small refactor step is to reduce the number of parameters for the next functions. The resulted code is the following (file 02_PageXmlExport.cs). Now looking again only at the signature of the public functions of this class. They look much better. The public interface is more consistent and this simplifies the caller code. Analyzing further the refactor result, we see that the class has in the constructor 6 dependencies. This is quite a lot. Looking at the fields, it has 7 fields, from which 2 are not complex (ICrmService and ILocationService). Having so many fields and dependencies is a bad smell. On a closer look we may observe that some fields are used only by some functions and not all functions use all fields. This is a clear symptom of a class with poor cohesion. To refactor towards a better cohesive class, we should identify groups of fields, used by same methods. For example, the exportFolder, fileNameFormat and overwrite are used by all functions that write to disk. Even more, they are only used in the logic that relates to writing the file. When we identify such a group of dependencies it is an opportunity to reduce the dependencies of the class by moving them into a new class, which will be used by the current one. While doing this, is good to also think about a good abstraction for the class we are going to create, an abstraction that express well the functionality the new class is going to provide. For our example we will have it as an interface which has a function that writes a PageXml. If it is hard to come up with a good abstraction, we can postpone this and do it in two steps: first split the classes and then find a good abstraction. Doing this refactor step it results the following code (file 03_PageXmlExport.cs). This refactor step has reduced the number of fields by groping three of them into one. As a consequence it also reduced the dependencies of the class and it made all its methods better by taking out the code that deals with the details of writing a file. This interface may have implementations that could write the XML anywhere. By increasing this abstraction we are increasing the reusability of the PageXmlExport class, by being able to reuse the same code and logic to export in multiple mediums. We are not going to pursue this refactoring path, but we are going to continue with increasing the cohesion of the PageXmlExport. The number of fields and dependences got smaller after this step. However, the code of the class did not improve much. It is the same, but instead calling functions from ICrmService respectively ILocationService, now all the calls go to the same IExportDataProvider. IExportDataProvider implementations will wrap together the external services for the export class, but something doesn’t smell good about it. The first bad signal comes from the name. It is named data provider, but it also gets geo location coordinates. Looking at it from another perspective, we can also see that the interface mixes different levels of abstraction. The CustomerInfo is a high level concept in comparison with Coordinates. Looking again at the resulted code in PageXmlExport class, we see that it now has this IExportDataProvider, but it also uses a repository to get data from the database. Maybe a better idea would have been to wrap also the repository in the IExportDataProvider. The repository is another dependency our class has, but it is not that visible. The refactoring that we have done made us think to the dependencies more, and now with the IExportDataProvider as a visible dependency in the constructor and the repository being used in most of the methods, it is much more obvious that they should be grouped together as one dependency. Lets rollback the last refactor step that we did, and wrap the ICrmService together with the repository in a real IExportDataProvider. Thinking on doing this we also observe that the other dependencies our class has (maxSalesOrders and addCustomerDetails settings) are only used together with the hidden dependency towards the repository. They all could be wrapped into the IExportDataProvider. The IExportDataProvider implementations should depend on these settings and them should instruct the repository accordingly. In fact, by doing this we are taking out from the PageXmlExport class the responsibility of being setup about how to read data and we push that lower to IExportDataProvider implementations. The resulted code after this refactor step is the following (file 05_PageXmlExport.cs). Looking now at the result, we are definitely in a much better place than when we were when we started. Maybe our code design is not perfect nor the best, but it is definitely better. Now our PageXmlExport class has three dependencies, which are used by most of its functions. Most of the code in the class got smaller and simpler. The methods follow a simple pattern: they get data using the IExportDataProvider, they enrich the content XML with it (which is the core functionality and knowledge of our class), and they output the result. The details of reading data and output the result are not important. Our class can focus on XML enrichment only. Maybe we do not yet have the best abstractions in place, but now after we have separated better the concerns it is a good moment to think more about abstraction and encapsulation. The code that gets data from the database or other sources is now decoupled from the core code that enriches the XML. We have achieved the same decoupling for the code that writes the XML on the disk. The details of how these are done are no longer mixed with XML enrichment logic and by abstracting them we can now reuse the XML enrichment code to read data from any medium and output the results to any medium. In conclusion we have achieved a better Separation of Concerns, and a more loosely coupled design, by following a simple refactoring pattern. We did this almost in a mechanical way looking to reduce the number of parameters or the number of dependencies. Be critical with functions that have more than about 4 parameters. It may be that they are part of poor cohesive classes or in they have a poor cohesion themselves. reduce the number of parameters of functions by transforming the common (redundant) ones into class fields received through the constructor. think about putting in place good abstractions for new extracted classes. This will increase the reusability and extensibility of the code. By following these with the above example we have refactored from a class that mixes code with details of creating and writing into files, with code that implements high level business logic (XML enrichment) and with code that deals with data access concerns, into a more decoupled design where all these concerns are separated and may be abstracted better. Using DI in an application it is often a good idea. It is an easy way to follow the Separate Construction and Configuration from Use principle (Uncle Bob explains it in his Clean Code book and also Martin Fowler does it here). Abstracting the repository through an interface is also good. It doesn’t only benefit you in writing isolated Unit Tests, but it brings a good separation of the data access concerns from the business logic. It prevents the data access specifics to leak into the upper layers, if you encapsulate them well into the implementation of the interface. Using them together is also good, but you need to consider the stateful nature of a repository and the deferred execution of an IQueryable<T>. //   once through the resultset. With this approach, I also get the benefit that for a new use case, I could maybe only wire-up in a different way some of my existent services, reusing them, and all will get through DI the same instance of the repository. Therefore, the underlying implementation has the opportunity to send all the queries from one session / request on the same storage connection. Even more, if my services return the IQueryable<T> as IEnumerable, the query will be executed only when the client needs it. //    code after the rep.Dispose() --> error. We are losing some of the flexibility and advantages of the above. The main one is that now an IQueryable<T> issued by the repository is scoped to the using statement, not to the request / session. If it is passed as return value to another class, and it gets executed after the using statement ends, an error will occur because the underlying connection is closed. Therefore, I need to be careful that the return values of the services that use a repository should be executed. This means that my clients cannot add to the query additional filters, nor they can decide when / if to execute it. This reduces the flexibility and reusability of my code. This may not be that bad in some applications. One of the biggest risks I see with this is that by trying to workaround these limitations, there may be code that passes around an undisposed repository to different classes or functions (like GetHighValuesOrders() function has). Without discipline, this may get out of hand. Another different approach is not to make the repository implementation disposable, and to dispose the underlying connection (DbContext), immediately after it is no longer needed. This implies that the IQueryable<T> (better said LINQ to SQL), will not leave the repository scope. This makes the repositories to be use case specific, with a close interface.